If you've recently tumbled a bag of frozen shrimp into a frying pan for dinner, there's a chance that modern-day slave labor had a hand in preparing your meal. 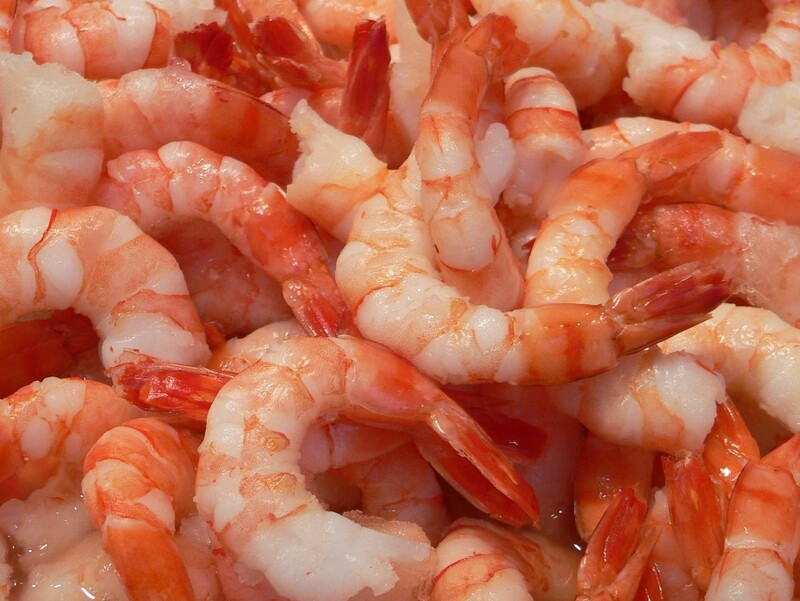 Thai shrimp processing plants hold captive and enslave Burmese immigrants, forcing them to work 16 hours a day pulling guts, heads, tails and shells off of shrimp bound for grocery stores and restaurants across the U.S., according to an investigation by the Associated Press. The enslaved workers, according to the AP, began their day at 2 am and labored under supervisors who threatened them with violence, denied them medical care and referred to them only by designated numbers. The AP also found that slave labor is used to catch other seafood that makes its way into global commerce. "Children worked alongside [adult laborers], including a girl so tiny she had to stand on a stool to reach the peeling table," reads an AP report. "Some had been there for months, even years, getting little or no pay." Shrimp processed with forced labor can be found in supply chains of grocery stores and retailers in all 50 states, the AP says, including Walmart, Kroger and Whole Foods, as well as restaurant chains Olive Garden and Red Lobster. In response to the AP report, Whole Foods, Red Lobster and Olive Garden's parent companies issued statements denying that they used shrimp peeled by slave labor. Each company based their statements, in part, on assurances from Thai Union Group, a large seafood supplier, that announced that it cut ties with the processing facilities at the center of the AP's report. But Myriam Fallon, communications coordinator for Greenpeace, takes statements like these with skepticism, noting Thailand's long struggle with human trafficking and the difficulty of tracing supply lines in the country. "It's very difficult to prove that it's not tainted if you're buying from that region," says Fallon. On a recent trip to a local Walmart, the Inlander found bags of frozen shrimp imprinted with a "Product of Thailand" label from a brand the AP has linked to slavery. Walmart previously issued a statement expressing alarm about what the AP uncovered, but stopped short of saying its supply line was affected. Melinda Merrill, a spokeswoman for Fred Meyer, told the Inlander that the grocery chain's parent company, Kroger, takes the situation seriously. But she could neither confirm nor deny that shrimp peeled by Thai slave labor could be found in Fred Meyer stores. "At this point all I can tell you is that we are working with our suppliers," she says. When asked how to avoid shrimp tainted by slave labor on a Reddit "Ask Me Anything" post, Martha Mendoza, an AP writer who worked on the story, responded that almost every grocery store had been affected, before adding, "If you live near the sea, buy local." Managers at local seafood companies Northstar Seafoods and Fisherman's Market Grill & Sushi both say the AP story hasn't affected their business because they get most of their shrimp from Mexico. Local restaurants Milford's Fish House and Clinkerdagger say the same. Steve Kelly, assistant general manager for seafood giant Pacific Seafood, says his company harvests its shrimp in Texas.